Randy Gregory’s 18-month suspension has officially come to an end now. The NFL announced on Tuesday that the 25-year-old defensive end, Randy Gregory has been reinstated on a conditional basis after serving an indefinite suspension for multiple violations of the league’s substance abuse policy. 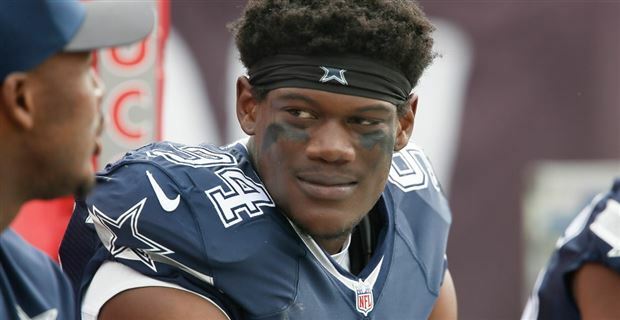 According to most reports, Randy Gregory had filed his reinstatement papers to the league on Thursday, May 17. So, the NFL was bound to render a decision by its designated 60-day window for such matters. In January 2017, the NFL suspended Gregory for at least 1 year for violating the league’s substance abuse policy on a repeated basis. Gregory had just returned from a 14-game suspension to start the 2016 season. As per the rules of NFL, the Cowboys have not maintained any form of communication or contact with Gregory during his suspension. Since getting drafted in the second round in 2015, he has appeared in 12 career games and recorded 20 tackles and a sack. “I’m not confident (about reinstatement), but I do see where his heart is,” Jones had mentioned back then. Multiple players, including Tyrone Crawford and Jeff Heath, reportedly wrote letters of endorsement to the league as part of Gregory’s reinstatement application. Exactly one week before the Cowboys report to training camp in Oxnard, California, Gregory has been reinstated. Now it depends on how well Gregory can acclimatise to football again. He has not taken part in a practice, or been around the Cowboys’ facility, since his suspension took effect 18 months ago. The Cowboys operated this offseason under the worst-case premise that he wouldn’t be on the roster again this year. They had signed veteran Kony Ealy in free agency and drafted defensive end Dorance Armstrong in the fourth round. But there is absolutely no denying Gregory’s talent or his motivation to get back on the field. Let’s wait and watch what this season has in store for him.